Summary: On the morning of July 4, Jining City Science and Technology Bureau Planning Finance Section Chief Liang Chenguang, Jining City Science and Technology Bureau Service Hall Director Liu Qianqi, Jining City Science and Technology Bureau Planning Finance Section Xue Jinjiao, and Xu Zonghua, accompanied by high-tech Zone Technology and Intellectual Property Department Director Zhang, visited Shandong China Coal Group for business performance evaluation on the Group's early declaration of major project- Machinery Manufacturing Industry E-commerce Service Platform, which is supported by Shandong Province. Shandong China Coal Group Deputy General Manager Sun Shijun, Guan Chenghui, Financial Officer Yang Qingqing and other leaders accompanied reception. 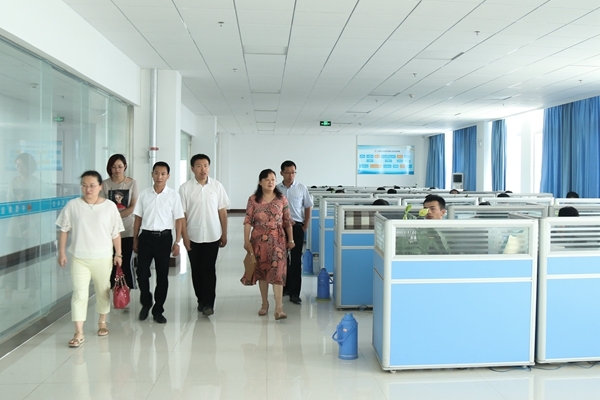 On the morning of July 4, Jining City Science and Technology Bureau Planning Finance Section Chief Liang Chenguang, Jining City Science and Technology Bureau Service Hall Director Liu Qianqi, Jining City Science and Technology Bureau Planning Finance Section Xue Jinjiao, and Xu Zonghua, accompanied by high-tech Zone Technology and Intellectual Property Department Director Zhang, visited Shandong China Coal Group for business performance evaluation on the Group's early declaration of major project- Machinery Manufacturing Industry E-commerce Service Platform, which is supported by Shandong Province. Shandong China Coal Group Deputy General Manager Sun Shijun, Guan Chenghui, Financial Officer Yang Qingqing and other leaders accompanied reception. At the beginning of the visiting, accompanied by Deputy General Manager Guan the leaders visited the China Coal Group's new office building, China Coal E-Commerce Companies, Cross-Border E-Commerce Companies, Network Information Companies, Software Technology Companies, Kate Intelligent Company, Intelligent Equipment Exhibition Hall, etc.. during the visiting, Deputy General Manager Guan gave the leaders a detailed introduction on the development of China Coal Group in the e-commerce, cross-border e-commerce, software research and development, e-commerce personnel training and other areas of the overall in the last year, and won high praised by the leadership! 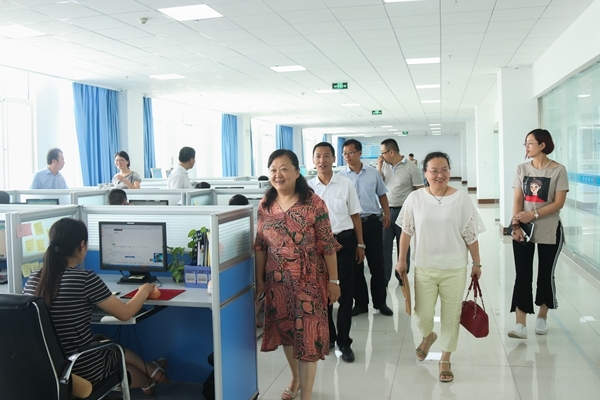 At the forum, Deputy General Manager Sun conducted a detailed description on work of Machinery Manufacturing Industry E-commerce Service Platform, Financial Officer Yang Qingqing made a specific report on the financial platform for financial status, financial norms and so on for leadership. 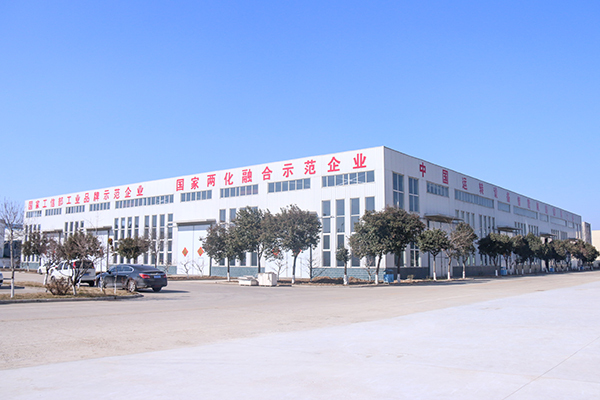 Machinery Manufacturing Industry E-commerce Service Platform independent development and operation by the Shandong China Coal Group, is the world's leading, the first domestic machinery manufacturing industry B2B e-commerce integrated service platform, which created to fill the blank of domestic and international machinery manufacturing industry e-commerce public service platform. 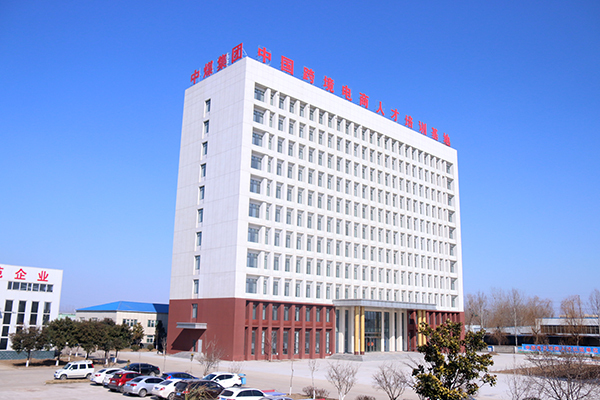 In 2013, the project was selected as National Ministry of industry and information e-commerce integrated innovation pilot project, MIIT cross-border e-commerce pilot project, and Cross-border e-commerce key supporting project, has been rated as innovation and practice awards of China integration of IOII in China and Key e-commerce platform in Shandong Province, has made outstanding contributions to industrial restructuring and upgrading of Shandong provincial and national industrial and mining machinery industry, got high praised by the provincial and national municipal leaders for many times. 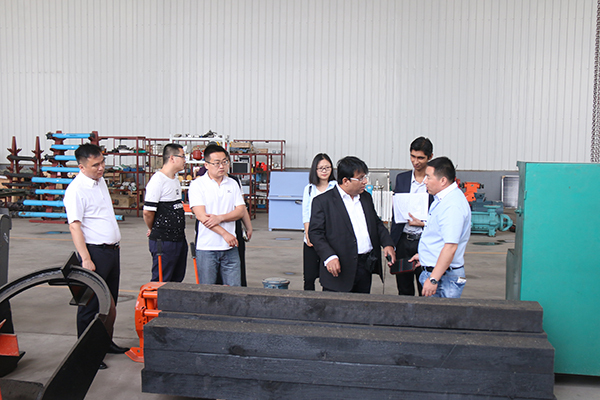 Through the on-site inspection and research, the leaders high praised the business performance evaluation of Machinery Manufacturing Industry E-commerce Service Platform which was independently researched and developed by ourselves. 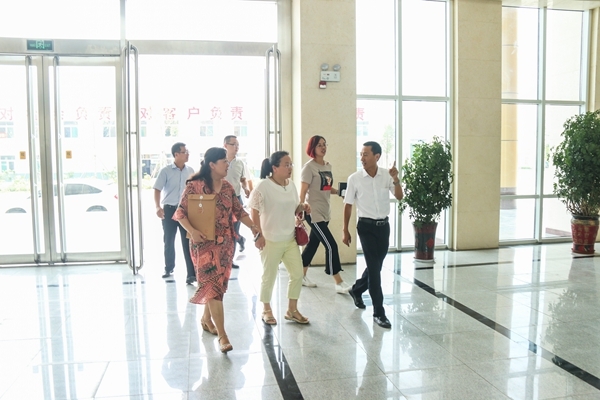 Section Chief Liang said that through the on site visiting, field research, the e-commerce platform project in accordance with the agreement of the work as scheduled, the project progressing smoothly, the financial norms, the performance evaluation indicators are progressing very good. 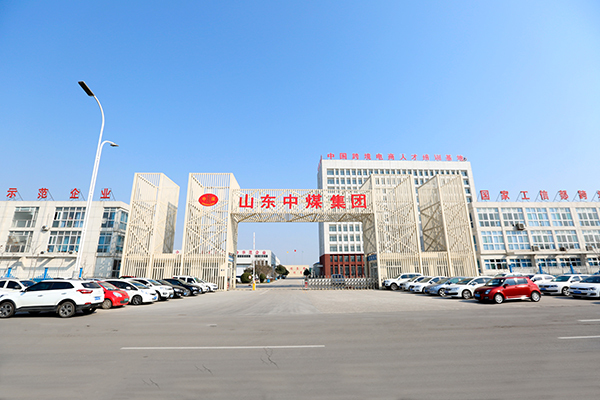 The next step, hope China Coal Group to strengthen the major projects in science and technology to accelerate the transformation of the old and new energy in the process of leading role supporting. Grasp the opportunity, make continue efforts to strive for e-commerce platform construction and other major areas of science and technology and achieve greater success again! 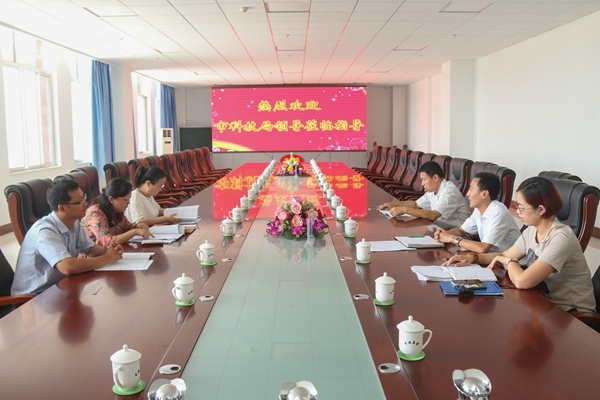 At the same time, Section Chief Liang further informed the Municipal Science and Technology Bureau will increase the city's major scientific and technological projects support policy, efforts to make more enterprises bigger and stronger in the field of e-commerce! Deputy General Manager Sun said, very grateful to the strongly support and highly affirmed by leadership of the Science and Technology Bureau to our China Coal Group Machinery Manufacturing Industry E-commerce Service Platform project, the next step, we must actively respond to the municipal government's call and actively improve the function of e-commerce providers platform, full play to the leading role of China Coal Group's leading enterprises to promote the successful experience of Group to help more enterprises to embark on the road of scientific and technological innovation and development, and better help provincial and national economic development!